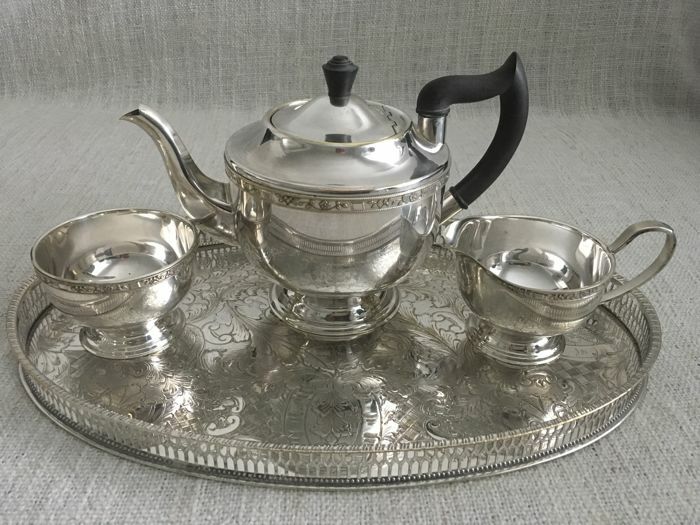 Ornate vintage four piece silver plated tea set with oval embossed decorated in the centre tray and raised and pierced border. 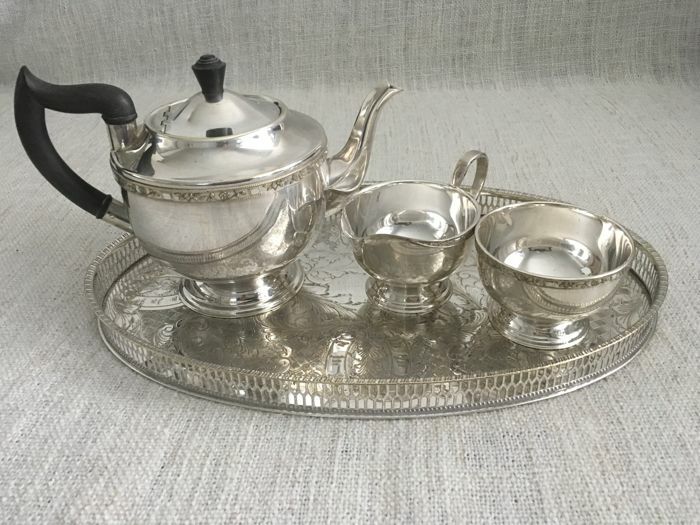 The set is comprises of oval shape tray , tea pot, sugar bowl and creame jug. 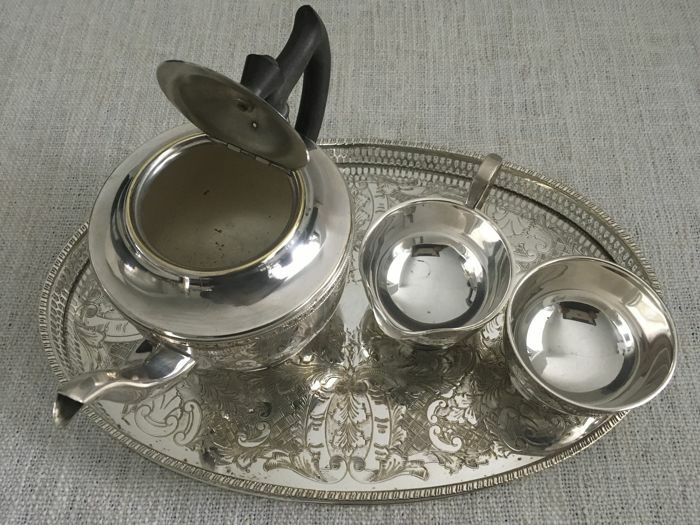 The set has embossed decorated rims. 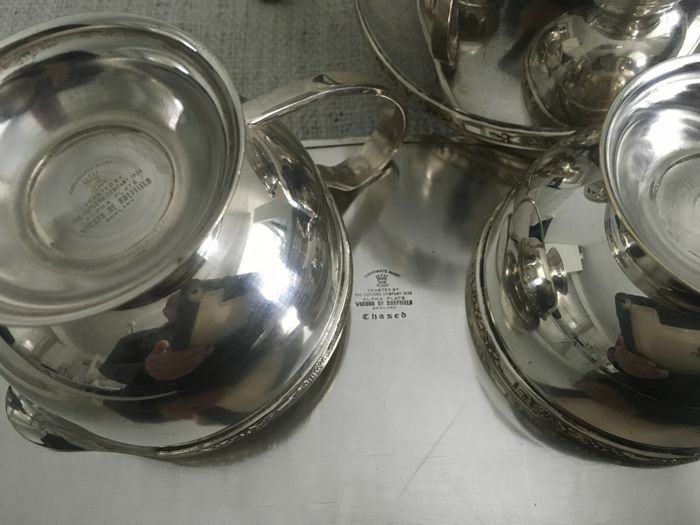 Fully Hallmarked for VINERS OF SHEFFIELD. There is some wear but nothing to worry about .